New Video Might Be Up Sooner Than Expected! Back in August I had the pleasure of filming a local car show. It was 2 very long days. I walked away with roughly 11 hours of footage between 2 drones and my A7SII. It's taken me forever to catch up on things and I'm finally getting to all the footage now. 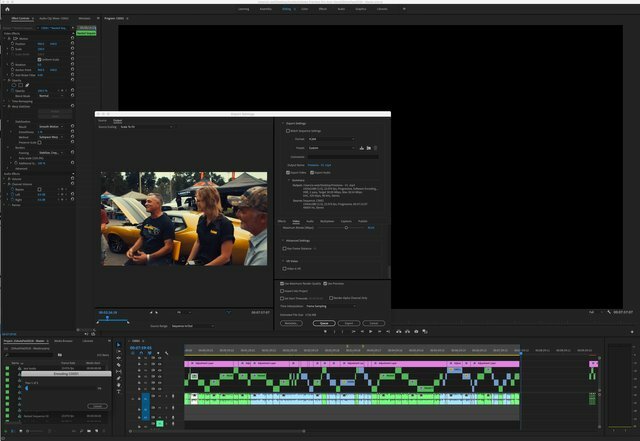 I'm putting the final touches on a panel I filmed where automotive legends "The Ring Brothers" sat down with fellow far lover Emily Williams from Flying Sparks Garage To talk about their custom 1972 AMX Javelin. I've got to do some more color work and maybe some titles. I'm just exporting a version of it so I can check it out on my television via the youtube app on my xbox. Anywho just thought I'd give you guys an update. Hope I can get this finished sometime later today. Gotta take the Doggo for a walk and hit up the grocery store at some point.